We feel that an important part of the process of growth in therapy is trust. You need to learn about us just as we need to learn about you. 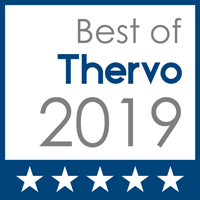 The phone consultation is a great way for us to do that. 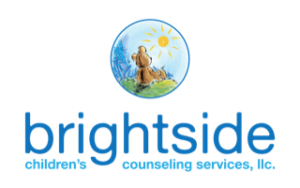 We want you to feel comfortable with the therapy process whether it is with one of us at Brightside Counseling Services or someone else. The only way to figure out which therapist you feel most secure with is for you to “try on” different therapists until you find the one that works for you. Therefore, offering this consultation free to you, you have an opportunity to do just that. We accept cash, checks, and all major credit cards. We currently only accept Medicaid insurance, however, some insurance companies let you submit a reimbursement form for out-of-network coverage. Please call your insurance company to find out if it applies to you. Due to our non-acceptance of insurance, we also use a sliding scale based on income when needed for our clients. Please contact us to find out if you qualify. We charge between $40 and $150 for a 50 minute session and $60.00- $200 for a 90 minute session. Sliding scale is based on availability and qualifications. Contact us to find out more information. Couples or family sessions are $200 for 50 minute session $270 for a 90 minute session. Sliding scale is based on availability and qualifications. Contact us to find out more information. We charge between $40 and $150 for a 50 minute session. Each group varies but they usually range between $30.00 and $50.00 for a 120 minute session. Please call to find out the cost of a particular group you are interested in. 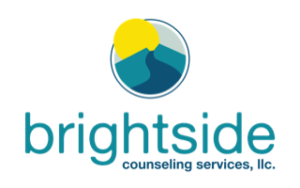 Here, you will find the list of all the group counseling Brightside Counseling Services provides. Payment is expected upon receipt of services. There will be a $10.00 late fee for past due payments and if we receive a returned check or a charge back from a credit card, a $35.00 fee will apply to the total amount. If your bill goes unpaid for more than 90 days, we will turn your account over to collections where it will impact your credit rating. At the end of our first session, we will make arrangements for further sessions. You can either have the same time and day each week, or if you need, we can vary the time and day. Appointments are usually on the hour although we make every effort to work with you regarding scheduling. If you cannot keep an appointment time please give your therapist at least 24 hours notice so they can make the time available to others who need to see them. If you miss an appointment without notifying your therapist or cancel with less than 24 hours notice, you will be charged the full fee for the time. Every effort will be made to return calls and/or emails within a 24 hour period, unless otherwise stated. We will attempt to check messages during days off but no guarantee will be made to call you within the 24 hours. We will however contact you on our next business day. If we are unavailable for a period of several days (ie. vacations etc.) We will leave instructions on our voicemail about contacting another therapist. If we anticipate you may be at risk in some way, we will leave information for this back-up professional, but only enough for that individual to handle an emergency.